I won Best of Breed and a Third Place in the Herding Group on Friday and Saturday at the Frazier Valley Kennel Club near Vancouver, British Columbia. 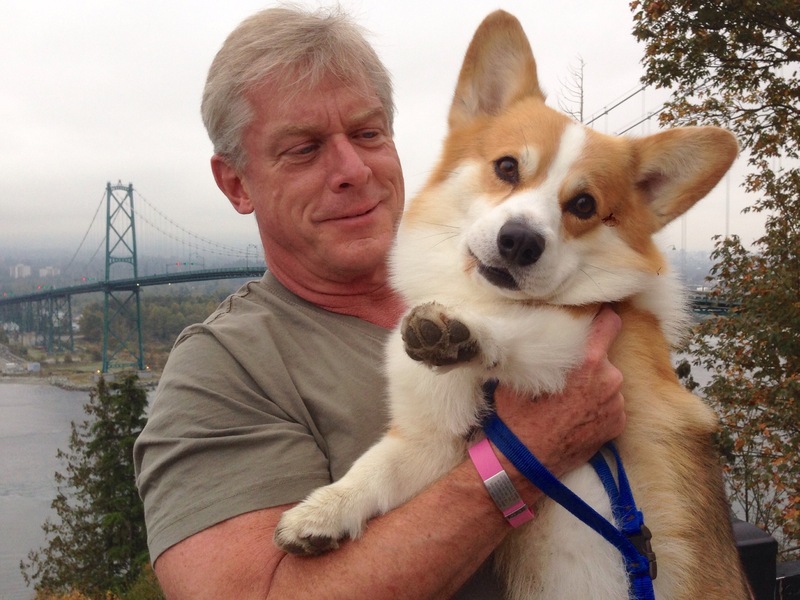 On Friday we went to Stanley Park in Vancouver. 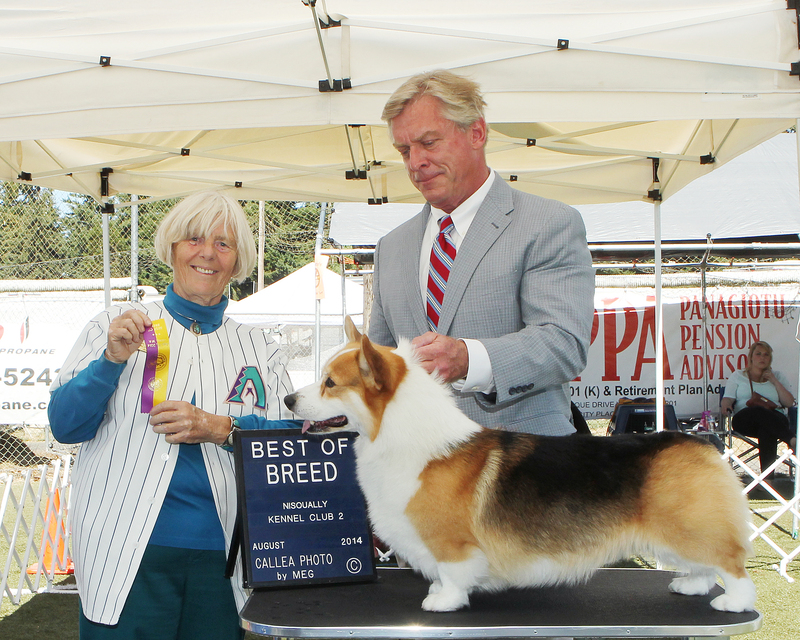 My daughter Darby Jean (GCH Desprado Alluring Alibi) won Best of Breed at the Hurricane Ridge Kennel Club shows in Sequim, WA. 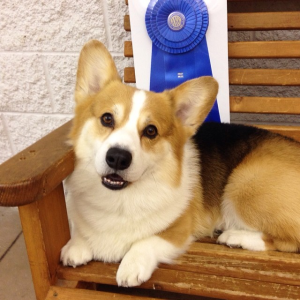 Great day… we're all really proud of her. 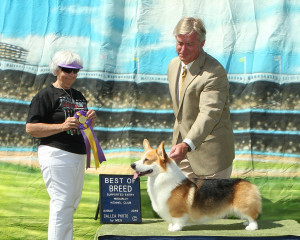 Select Dog at Columbia River! 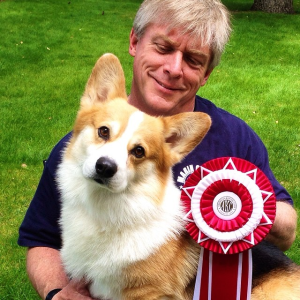 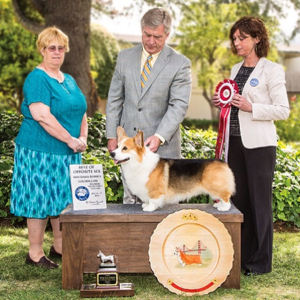 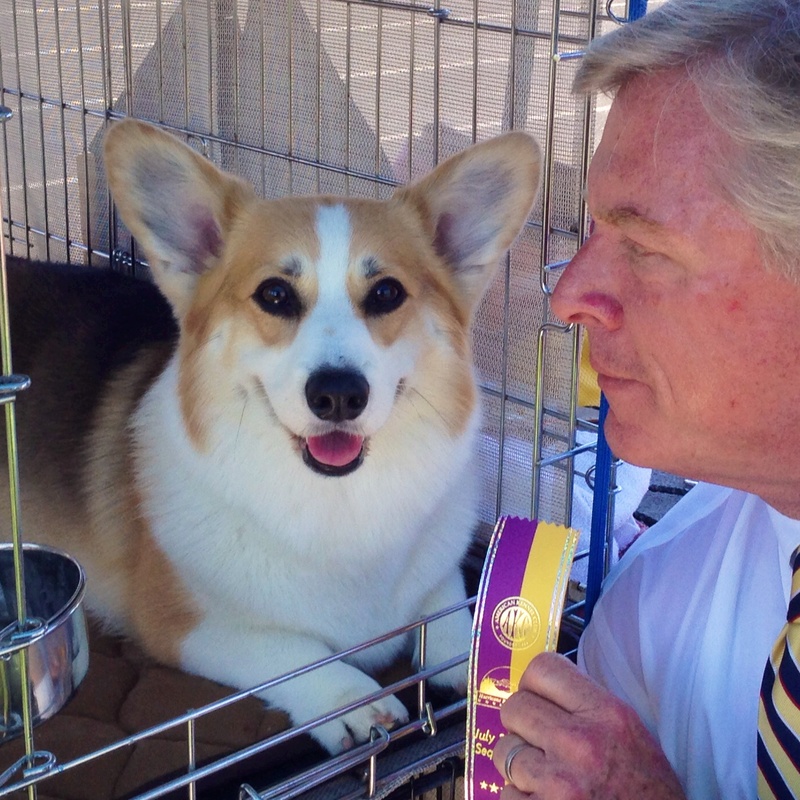 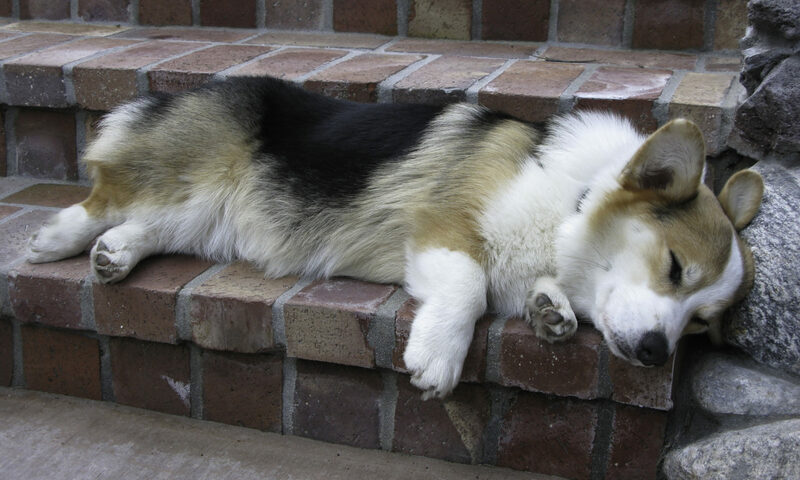 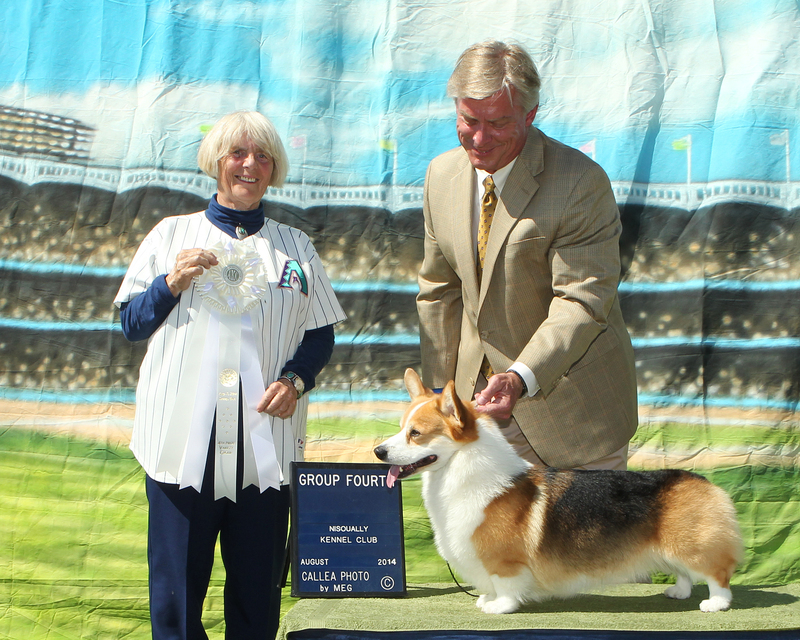 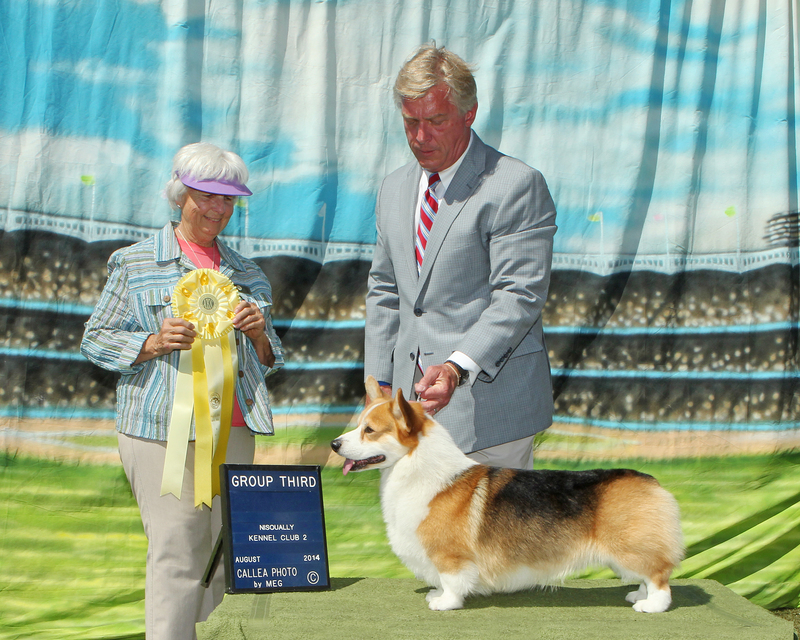 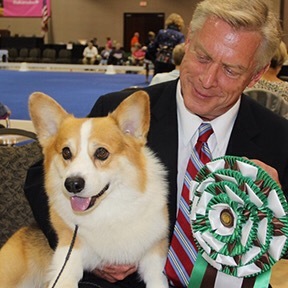 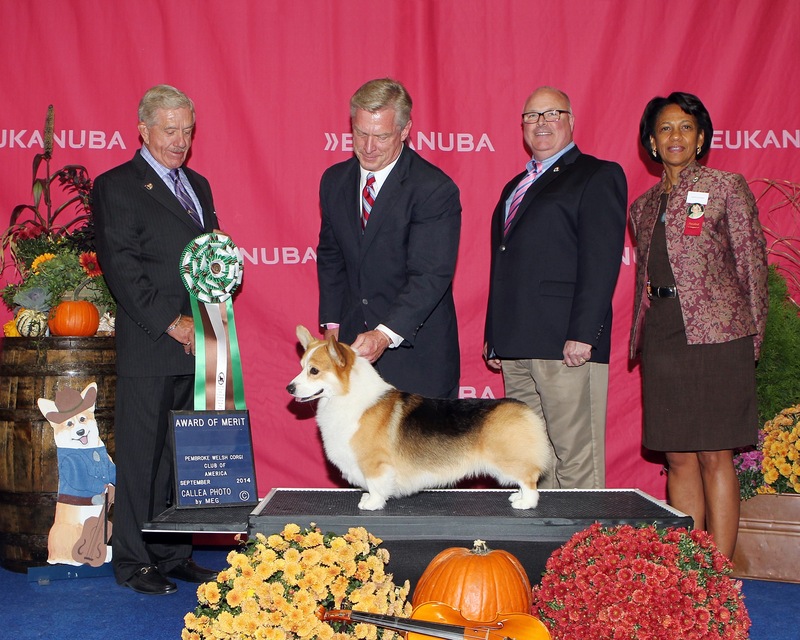 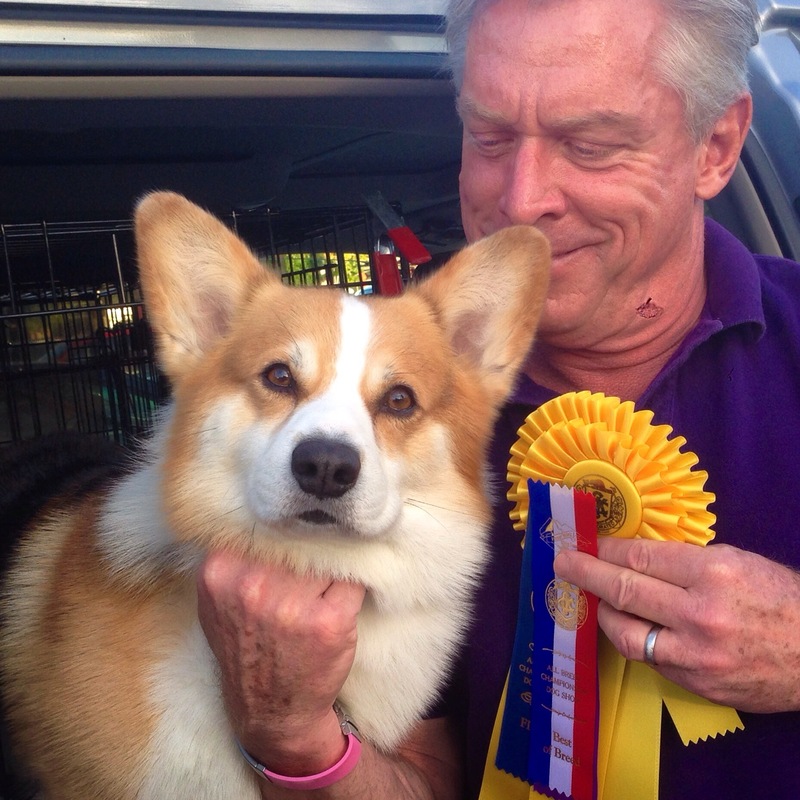 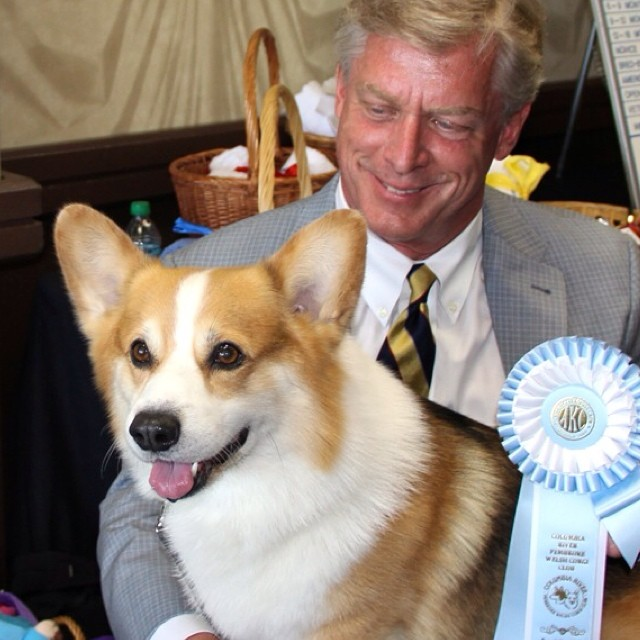 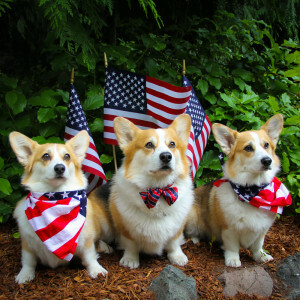 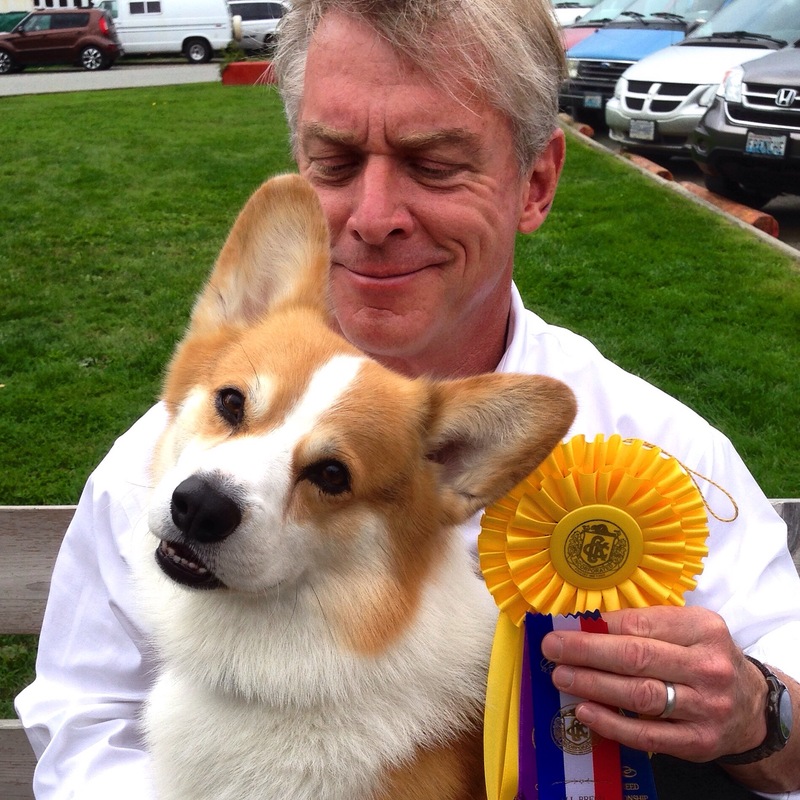 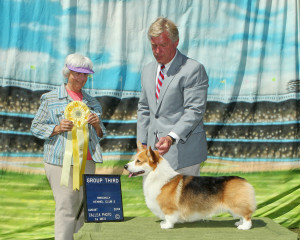 I was Select Dog at the Columbia River Pembroke Welsh Corgi Club’s annual specialty. Mom and Dad were real proud. 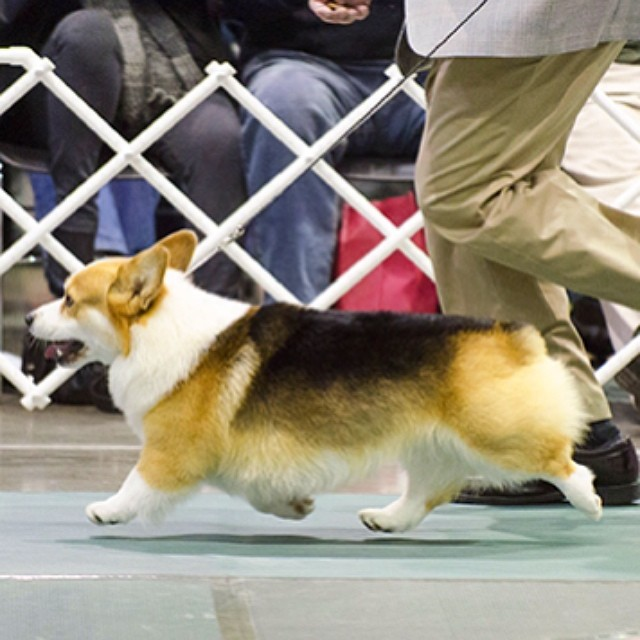 This is me in what Dad calls “HoverCorg” mode. This was at the Seattle Kennel Club shows this year. This was taken by The ShibaGuyz in Seattle. 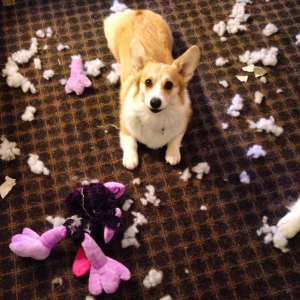 It took Chloe Anne less than three minutes to get the squeaker and the stuffing out of this toy… she’s amazing!